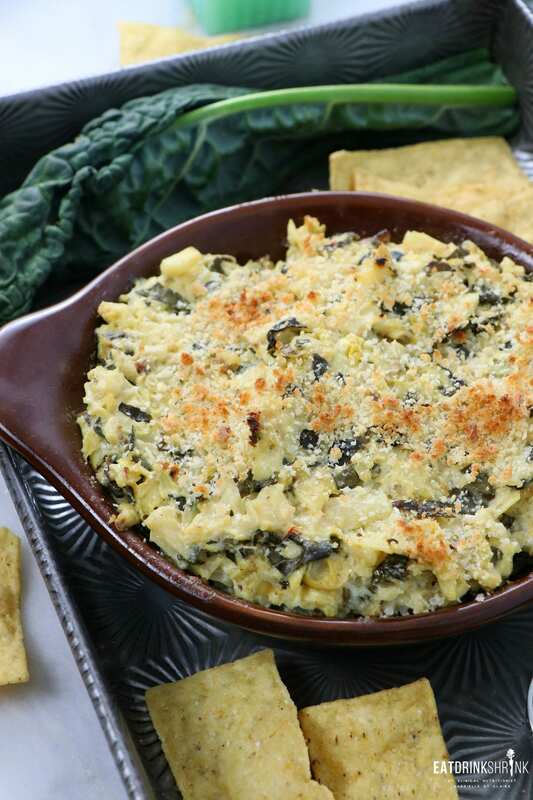 Vegan Kale Artichoke Dip - Eat. Drink. Shrink. There are some foods we just organically gravitate towards. For myself, it’s artichokes! Whether it’s the interesting flavor, texture, or appearance, they’ve always been one of my faves due to their uniqueness. They can be roasted, steamed, fried, and used in a myriad of dishes. I typically always have some on hand to throw into various recipes as they are accessible, affordable, and it’s the perf way to add more veggies! 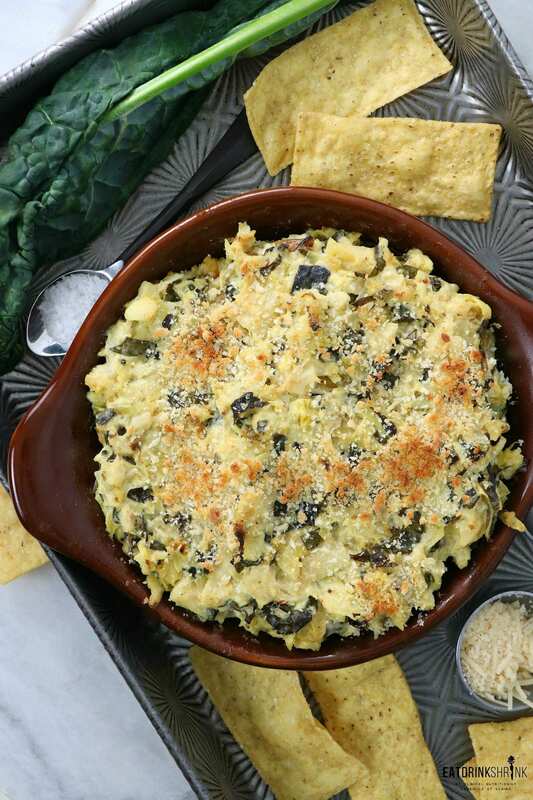 Artichoke dips are sadly infamous for being laden with dairy and having high saturated fat content. 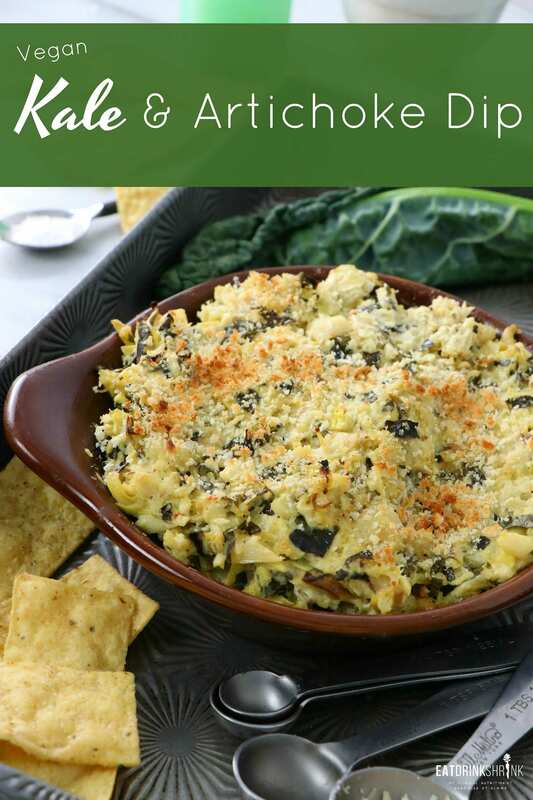 However, you can recreate similar version sans all of that without sacrificing flavor or texture, and that’s how the vegan Kale Artichoke Dip was born! 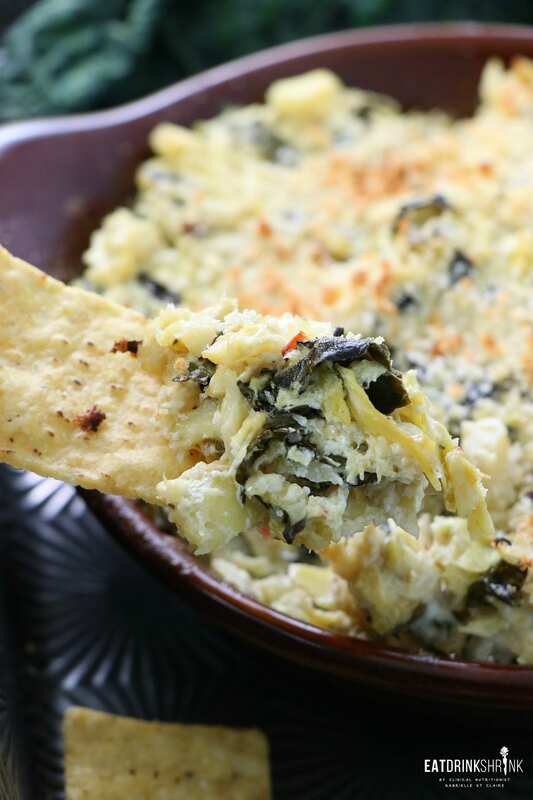 If you’re searching for that effortless vegan Artichoke Dip that can be thrown together with a quickness, you need this recipe for Kale Artichoke Dip!! Preheat oven to 350. Heat a pan over medium heat. 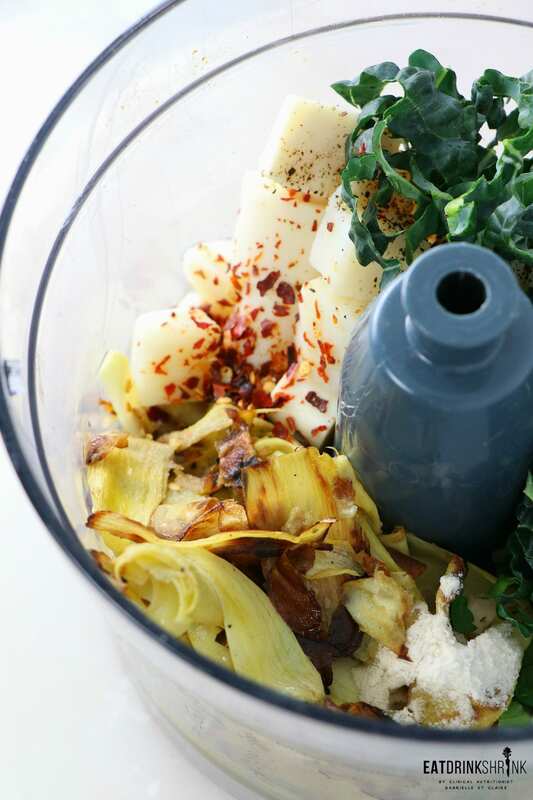 Add the quartered artichoke hearts with olive oil and cook for 3-5 minutes until lightly crispy and brown. Add the garlic, cook for an additional 3 minutes. 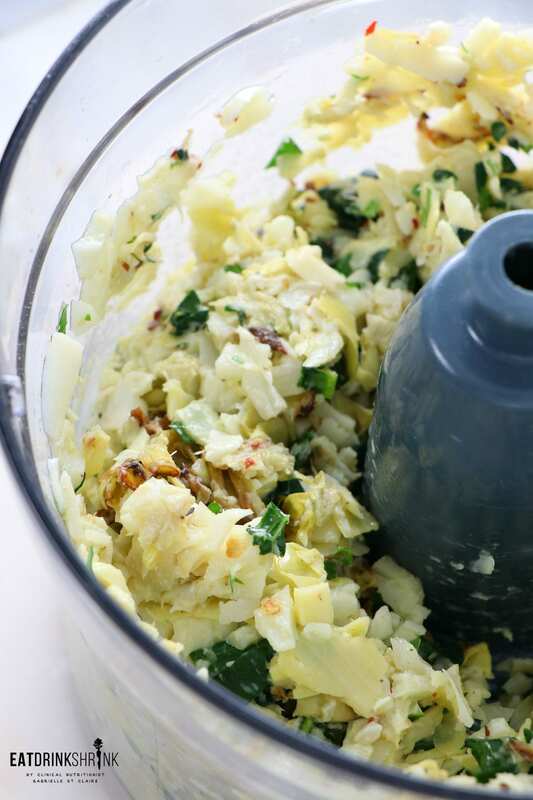 Remove from heat and add to a food processor along with the remaining ingredients. Pulse until desired texture is achieved - all textures are good! 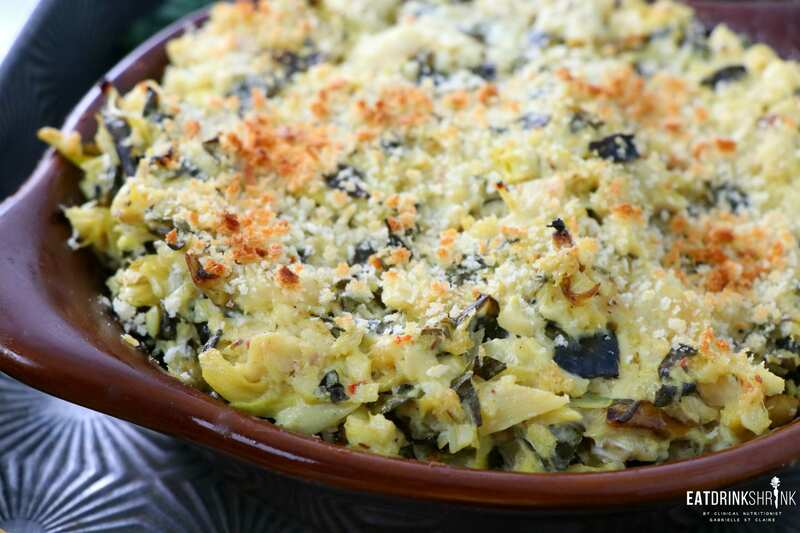 Fold in the nutritional yeast, vegan sour cream, & vegan parm into the blended mixture. Layer into a dish and sprinkle Panko on top. Bake for 10 minutes on 350, remove from heat, set on broil, and toast the Panko on top. Should only take 2-3 minutes! If you want it to be piping hot, make an aluminum foil tent on top to prevent the top from burning. 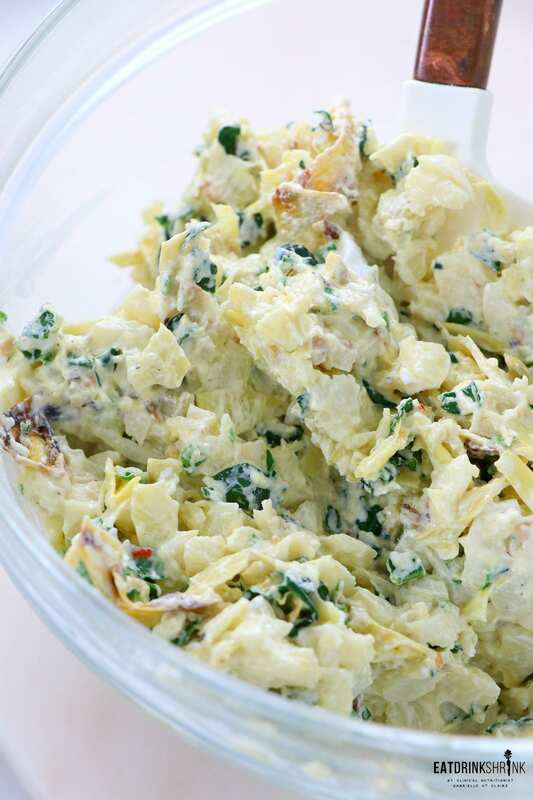 Serve with french bread, veggies, or tortilla chips! To create more texture toss Panko into the dip as well! 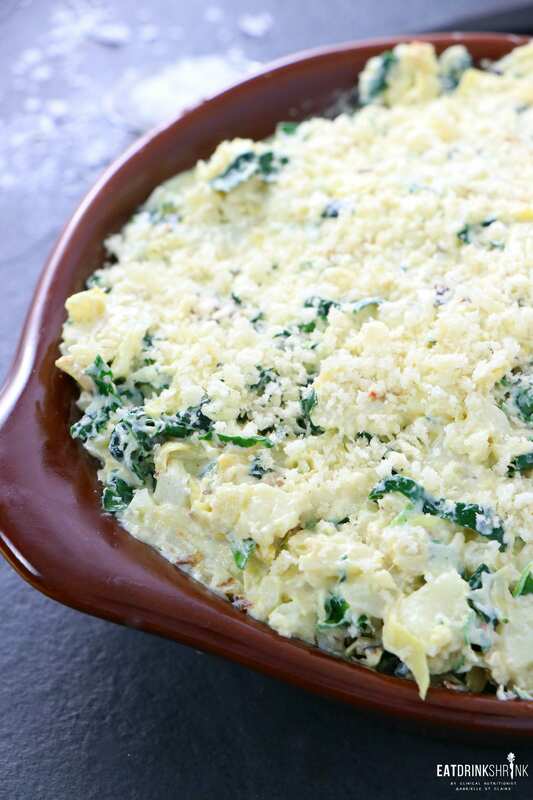 this looks yummy ...i will try to recreate it..can i use any other cheese than parmesan cheese??? Hi Albert! You can use whichever cheese you prefer, I just love the flavor profile of the vegan parm and it is guaranteed to melt!